Earlier, the Times newspaper reported that the nerve agent allegedly used to poison a GRU ex-employee, Sergei Skripal, and his daughter, was produced in a laboratory in the Russian city of Shikhany in the Saratov region. The Organisation for the Prohibition of Chemical Weapons (OPCW) as well as international experts are aware of the fact that there are no chemical weapons in Russia's Saratov region, the president's special representative in the region, Michail Babich, said. "Chemical weapons have never been stored or produced at the State Scientific Research Institute of Organic Chemistry and Technology in Shikhany, which was mentioned in the British intelligence's report," Babich told reporters. According to the official, the site is working on the eradication of organic chemicals, agricultural chemicals, pesticides and so on. "Our colleagues from the OPCW are fully aware of it. And it is bewildering how Uzumju, the director general of the OPCW, who had visited all the chemical facilities in Russia, was modestly silent at the organization's emergency meeting on April 4 about this fact," Babich emphasized. "Of course, this is another confirmation of the scale of the provocation against Russia and the enormous pressure on international officials that Britain and its allies are exerting nowadays," the presidential envoy concluded. 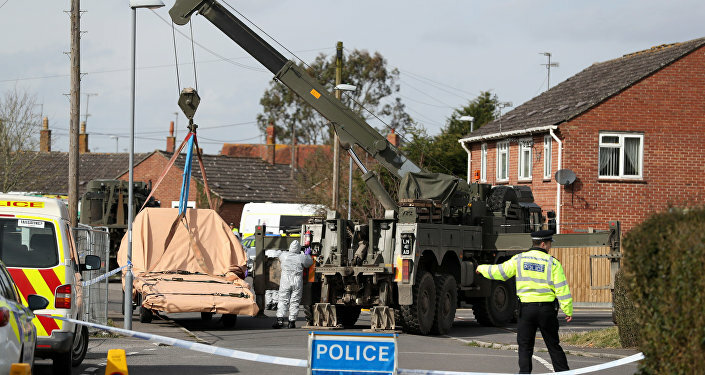 On April 6, the Times newspaper reported, according to British intelligence, that the substance used in the poisoning of the ex-Russian intelligence officer Sergei Skripal was produced at a chemical plant in the Russian city of Shihany. On March 4, Sergei Skripal and his daughter Yulia were found unconscious at a shopping center in the British city of Salisbury. They are currently being treated for exposure to what British experts believe to be the A-234 nerve agent. The UK claimed that the toxin was developed in the Soviet Union and blamed Russia for orchestrating the attack.